BYUtv is excited to announce the release of their newest Xbox App! Watch BYUtv in HD and enjoy our 24/7 live stream, live sporting events, and thousands of hours of video-on-demand from popular shows like Studio C, Relative Race, Dwight in Shining Armor, and much more! 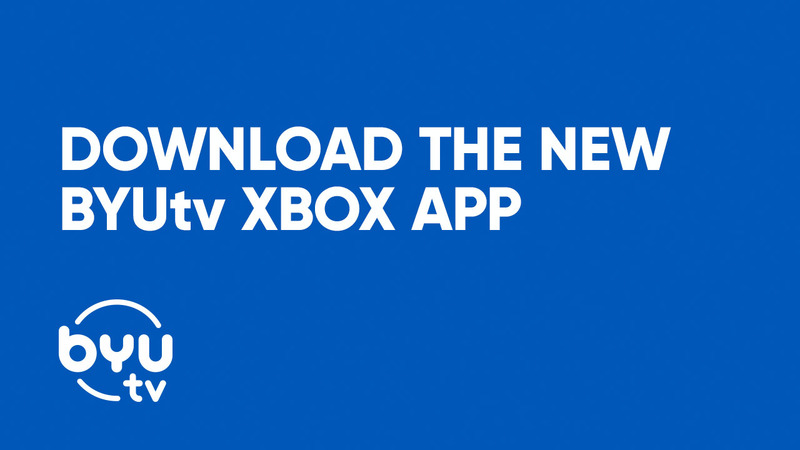 To download the new BYUtv Xbox App, simply click the button below or visit the Xbox Store and search for "BYUtv." If you aready have the BYUtv Xbox App, please note that it will not automatically upgrade to the newest version. In order to get the newest app, please download and install the version that has our new BYUtv logo as the icon. Easily share content via Twitter, Facebook, email, text message, etc.